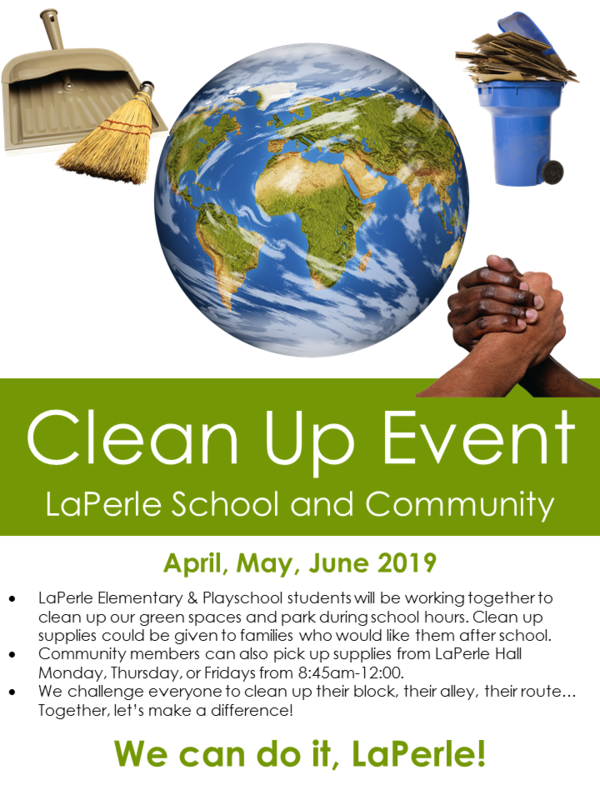 Earth Day Monday, April 22nd kicks off the Community Clean Up Event in LaPerle! Clean, litter-free park and streets make us all proud to call LaPerle home. Do not pick up needles/syringes, glass, sharp, heavy or over sized objects or hazardous waste. Call 311 to report the location so that the item may be collected by City staff.